Mining companies in the region have a duty to help fight Ebola not just for humanitarian reasons but for their own future. The World Health Organization (WHO) in Geneva, Switzerland, has warned that the Ebola virus outbreak in West Africa is spreading faster than expected and it goes without saying that it was a key item at the recent U.S.-Africa Summit in Washington, D.C., especially after the first Americans who contracted the virus were brought into the U.S. The current Ebola outbreak has claimed more than 900 lives, and beyond its obvious and tragic humanitarian impact, it also threatens to pose a serious economic impediment to the affected nations of Liberia, Guinea and Sierra Leone—nations that are not yet at the forefront of the global economy, but have significant reserves of gold, iron ore, bauxite, diamonds and other commodities that still remain largely untapped. 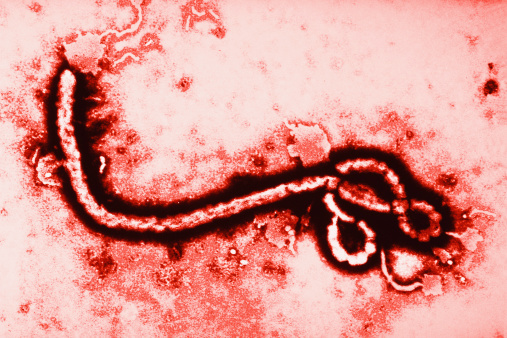 Can Ebola affect an important industry that hasn’t been a top performer this year? “The global commodities industry is the most cyclical of all industries and right now, we’re in a period of underinvestment,” said Paul Miller, an investment banker in the metals and mining department of Johannesburg, South Africa-based Nedbank Capital, which finances companies mining in Ebola-affected countries. But Ebola isn’t showing any signs of retreating, either, and some mining companies have had to shutter operations in the affected nations—most mines are located in the remote areas where the virus is prevalent and likely to affect their workers, if it hasn’t already. Of course, these companies also have made the necessary investments and instituted the requisite systems to deal with various kinds of risk, including health crises, which are an important consideration in Africa. “Malaria, for example, is a big problem throughout Africa and many mining companies run [prevention and treatment] programs that work within the surrounding communities as well,” Miller said. That kind of outreach, though, is even more important today, and there’s little doubt that as the threat of Ebola increases, mining companies have an even greater duty toward their stakeholders than before, not just with respect to the immediate threat the virus poses, but for their own operational future. “The Ebola virus is a country/continent/humanitarian issue that has to be dealt with in a coherent and cooperative manner, and no single company will be able to effectively deal with it by themselves,” said Wickus Botha, African Mining and Metals leader at Ernst and Young in Johannesburg. Ebola aside, it’s a big challenge to get new funding to develop new mines or expand existing operations in West African countries, Botha said. The limited availability of infrastructure such as water, energy, freights and so on makes the development of new operations challenging and very expensive. Factoring the current Ebola outbreak, even if it proves to be but a short-term challenge for the mining industry, into ensuring the survival of the extractive industry in West Africa is important, he said, and will require all parties to work together to find the right kind of workable solutions.